In this era of global warming and the exhausting natural resources, the chief concern in any industry is sustainability when it comes to building and construction materials. The construction of packing and shipping containers should be sustainable. Shipping pallets actually make the world go round. Agricultural products and the goods that travel by rail, wing, or wheel are moved on pallets. Although pallets can be constructed from various other materials, wood remains the best choice by far in terms of sustainability and longevity in the field. Consider why wood is the most conscientious choice for pallet construction. Wood is one of the most eco-friendly building materials on the planet. It grows out of the ground with sunlight and water. It can be recycled for paper or mulch. Wood also has the distinctive benefit of being reusable for home building projects once a pallet has worn out its usefulness in the shipping industry. Additionally, using recyclable, eco-friendly materials also means that worn or damaged pallets can be rebuilt as new pallets with some minor refurbishment. This helps businesses to save more money and reduce industrial waste. The majority of agricultural businesses rely on recycled wood pallets to reliably transport goods and cut costs. According to the American Hardwood Export Council, North American forests are now growing at twice the rate of consumption. Replanting and new growth have covered 11.3 million acres in the past decade. For every man, woman, and child currently living in the United States, there are five trees that have been planted and are well on their way to growing to maturity. The timber industry is doing its part to ensure that our natural lumber resources are protected and renewed by planting 1.7 billion new trees every year. Not only is wood more sustainable and ecologically friendly, but using it as a building material also helps to reduce carbon emissions. The Canadian and American Wood Council indicated that for every cubic meter of wood that is utilized as building materials instead of synthetics, 1.1 tons of carbon dioxide are eliminated from the atmosphere. When you combine that amount with the 0.9 tons of carbon dioxide that are already stored in wood, it means that carbon emissions can be reduced by 2 tons per cubic meter of wood building materials. Implementing more wood-based shipping and packing materials could drastically reduce the carbon footprint of most expanding countries. 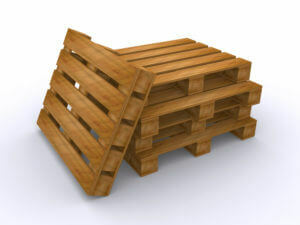 Wooden pallets are often less expensive to acquire than plastic pallets, and they are usually able to be used for more extended periods of time. For example, if a plastic pallet breaks in just one place, you have to replace the entire pallet. Ultimately, the cost for that pallet is a non-recoverable loss eating away at profits. Wooden pallets can be recycled and repaired. Wooden pallets have the distinct advantage of being assembled piece by piece. If a wooden pallet breaks, it can be easily and cheaply repaired or replaced if necessary. Construction time is also reduced with wooden pallets, meaning they can be acquired more quickly in large quantities. This is especially important for bulk importers such as agricultural businesses. Wood is more durable than plastic. It wears better over time, it is easier to work with, and building wooden pallets require less energy to manufacture. Additionally, wood provides friction. This a unique advantage to pallets that plastic does not. When loaded into shipping containers and moving heavy freight, wooden pallets shift far less than plastic. That means better protection for your freight, and less lost product during shipping and transport. Reduced losses ultimately lead to higher profits and can boost the reputation of your agricultural business. Ultimately, the smart decision for pallet material is wood. It reduces costs, reduces carbon emissions, lasts longer, and is a better investment long term. Regardless of what product you move in bulk, wooden pallets are going to provide superior performance, durability, and longevity compared to plastic pallets. Additionally, wooden pallets are less expensive to purchase and can be rapidly produced in bulk with a lower energy cost. Best of all, when you purchase and use wooden pallets to move freight, you are maximizing your potential profits by reducing costs and helping to reduce your organization’s carbon footprint. Agricultural businesses prefer high-quality wooden pallets made from sustainable, responsibly-sourced wood for many good reasons. Pallet One offers a wide variety of new construction and recycled wood pallets for all types of companies. All the construction is handled by our expertly trained staff. 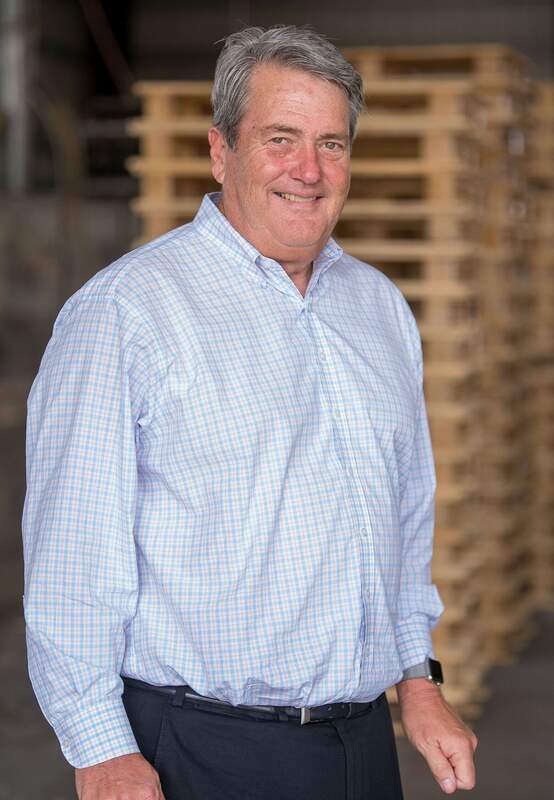 Outstanding customer service means agricultural industries get the right wood pallets for their unique requirements.